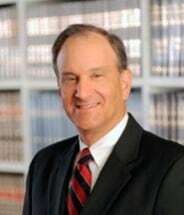 While Alex S. Katzenberg has been a Maryland attorney since 1976, he has also served as a Civil Mediator in the Circuit Court for Baltimore City since 1991. He represents clients in matters of workers' compensation, personal injury, including motor vehicle accidents, medical malpractice, and traffic violations. Mr. Katzenberg is a member of the Bar Association of Baltimore City, the Maryland State Bar Association, and the Maryland Trial Lawyers Association. He is an Auxiliary Firefighter for the Baltimore City Fire Department. He served on the Workers' Compensation Commission Special Committee on Infectious Diseases in 2002, and he has been a speaker at the Annual Maryland Workers' Compensation Educational Association Conference. Mr. Katzenberg was President of the Maryland Workers' Compensation Educational Association in 2016 and continues to serve on its Board. He was also recently named to the Maryland Super Lawyers list. Mr. Katzenberg earned his Juris Doctor from the University of Baltimore School of Law and has a Bachelor's degree from the University of Virginia.